But, but, but Islam is so peaceful and American Muslims are so loyal and patriotic, right? Well, loyal and patriotic to the jihad, anyway. 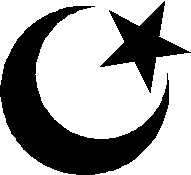 I wonder if Mikhial Jihad a/k/a Michael D. McCright converted to Islam in prison, since he already has a rap sheet. Oh, and they can’t claim, this time, the utter BS that this Muslim was a “lone wolf.” First of all–as in most cases, he’s Muslim, so he’s got 1.8 billion others in the wolfpack. And he was in contact with other Muslim jihadists plotting terrorist attacks on our servicemen, Abu Khalid Abdul-Latif and Walli Mujahidh (remember them?). The FBI, the primary agency responsible for investigating terrorism in the U.S., is involved in this investigation for a reason. A Lynwood man tied by prosecutors to two Seattle terrorism suspects has admitted to attempting to run two Marines off Interstate 5. Jailed since September, Michael D. McCright pleaded guilty to related charges last week and admitted to swerving at a government sedan carrying a uniformed Marine sergeant and another noncommissioned officer on July 12. 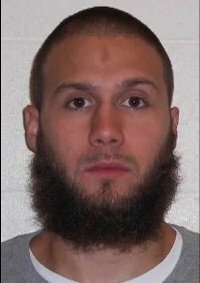 McCright, who also goes by Mikhial Jihad, pleaded guilty Wednesday to reduced charges that ensured he will not face a life sentence under Washington’s “three-strikes” law targeting repeat violent criminals. Prosecutors have indicated the plan to request a nearly five-year prison term. Why do they give these schmuck jihadists engaging in terrorist attacks on Americans deals like this? Do they really think a jury wouldn’t convict this guy? He deserves life in prison. Why spare him? Legislators enact three strikes laws for a reason: so that deals like this to spare this cretin life in prison won’t and can’t be made. And yet they get around it, anyway. Describing the July 12 incident, FBI Special Agent Len Carver III said the Marine sergeants left the South Seattle Military Entrance Processing Station processing center at 4:45 p.m. While the staff sergeant driving the car remained in uniform, the other man had changed into civilian clothing. The Marines were headed north on Interstate 5 near Northgate when a small blue car sped toward them. A bearded man in a skull cap – McCright – was behind the wheel. As the driver came alongside the Marines, the staff sergeant noticed McCright spot his uniform. “His eyes widened and he appeared to become angry,” the staff sergeant told police. McCright swerved at the government car, forcing it into the emergency lane. McCright then pulled in front of the Marines’ vehicle and slammed on his brakes, nearly causing a collision. The gunnery sergeant riding in the sedan’s passenger seat called 911 and reported the Geo Metro’s license plate number to the police. Investigators later linked the car to McCright and contacted him by phone. . . . Prosecutors have claimed McCright was in contact with Abu Khalid Abdul-Latif, a Des Moines man accused of plotting to attack a South Seattle military processing station. McCright’s connection to Abdul-Latif has not yet been divulged, though Abdul-Latif remains in federal custody pending trial on terrorism-related charges. Senior Deputy Prosecutor Gary Ernsdorff has said only that McCright’s cell phone was used to call Abdul-Latif prior to Latif’s arrest. Abdul-Latif, 33, and Los Angeles resident Walli Mujahidh, 32, had been accused of plotting a suicidal attack on a military induction and processing center on East Marginal Way South. Federal prosecutors claim the men planned to storm the center to kill recruits and Department of Defense employees working there. Mujahidh subsequently pleaded guilty. Yup, another episode in the “peacefulness” of the “Religion of Peace” on U.S. soil. As I like to call it the “Religion of Pieces”. I would like to know where all of the outrage is within the “moderate muslim community” that “their religion is being hijacked by ‘extremists'”? Which begs another question, what classifies a person as a “moderate muslim”? One that only thinks some Sharia laws are good and not others or that it is okay for “honor killings” to occur under certain, strict circumstances (I can go on and on…)? I would love to hear what makes one a “moderate”? This man deliberately tries to kill Marines while driving down a highway and only gets five years in prison? They give drunk drivers who kill someone by accident more time than this creep is getting! Another thing that I cannot understand is how any good and dutiful son of Allah is serving in our military when they are forbidden by the dictates of their ‘peaceful religion’ to swear allegiance to anyone but Allah! Oh no! It’s just a peaceful religion hijacked by a few extremists! NOT!!! What if it was a white guy who killed 5 poor helpless minorities????? Hey, he only did a hit and run. Its amazing the story mentioned his Muslim name! Someone forgot to sanitize the record. And with a name like Mikhial Jihad, it all kinda fits. Let’s it hear again on how the Religion Of Peace is absolutely loyal to its adopted country! The only reason they ran his picture and showed his “muslim name” is because he’s white. This falls into the “journolist” strategy of showing that white men perpetrate all evil and has the added bonus of “showing” we “religion-clingers, et al” that anyone can be muslim and there’s no reason to be suspicious or afraid of Middle-East-looking muslims because, hey, that “regular” guy across the street might be a muslim. ’cause that would be “wrong”. Complete b.s. Still awaiting word on Major Nidal Hassan as well. Me thinks the powers that be are going to drag it out so as not to be an election problem for the NBPP w.h. Just some work place violence, folks, move along. Move along. Nothing to see here. As I understand it, the good Major is actually still collecting his monthly check from the Army. Wtf. Samurai : You took the words right out of my mouth regarding the Fort Hood jihadist. As in ‘hot mic’ to the Russians, I’ll be able to do something after the elections’…..of course. Surely by now and for ‘health & safety’ reasons these converts to terrorism should have their beards and hair shaved off on entering jail. An epidemic of lice with major itching would be good Karma. Well, if the WH incumbent drained the USA coffers of 1 BILLION dollars to give to Yemen, where is the money. The useless media never join the dots and ask questions that matter. Useless, useless, useless. Can you smell an insanity defense after the November elections? There is no reason why this person has not been put on trial yet that would even be remotely legitimate. A raisined jihadi named jihad, with multiple prior felonies, a known associate of other jihadis, who openly wages war on US soil against uniformed members of the US military is allowed to cop to malicious mischief and harassment? Outrageous! With that distinguished CV he could be obongo’s next cabinet appointment, a special assistant to baghdad jim, a special assistant to patty murray, the next Forever Benefiting Islam community outreach director, a Seattle city council member or Kink county human resources affirmative action muslim division head. On an off note, the Mossad agent Eyal Leven in Covert Affairs is played by the Israeli actor Oded Fehr. He was outstanding as the Islamic terrorist Farik in Sleeper Cell. Please note the spot on his forehead. This spot is common among the most radical terrorists in prison. It comes from “prayer” when their foreheads contact the carpet. Some also use a small stone. You would get more of a sentence if you grabbed a bait car. I guess the lives of Marines are not worth much now. You can be sure that Mr. Jihad will not even be serving his full five years if he acts at all like a human being in prison. The prosecutor who arranged for this plea agreement should be shunned by the legal community. This is a case that should have gone to trial. What a stupid policy Samurai. A traitor criminal still bets his pay check for the treacherous murder of comrads under the arms. I am disgusted sir. Should be put to death, trying to escape.